Namibia has everything a nature photographer could ask for: classic African megafauna in Etosha National Park, enormous flocks of wading flamingos at Walvis Bay, one of the largest seal colonies in the world at Cape Cross, the Quiver Tree Forest, the tallest sand dunes in the world at Sossusvlei, and of course the iconic desert ghost town at Kolmanskop. 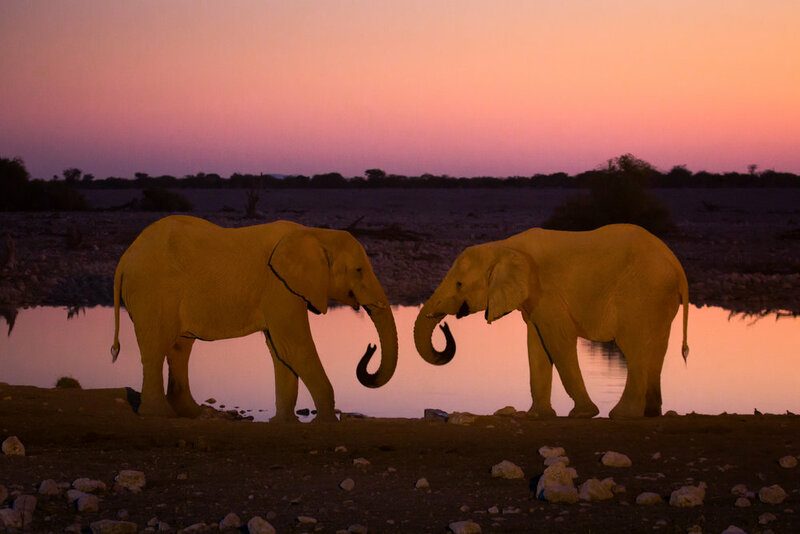 Join Muench Workshops pros Richard Bernabe and Juan Pons on a photo adventure to wild Namibia in southwestern Africa. You will learn about landscape composition and wildlife photography techniques, create incredible images, and have loads of fun too! Richard and Juan will share their post-processing techniques, so be sure to bring your laptops. You will have plenty of one-on-one image reviews and critiques as well. This workshop is all-inclusive, so you never have to worry about paying for anything, you can focus on your photography and experience the magic of wild Namibia. June 1, 2020: Everyone arrives in Windhoek, Namibia via the Hosea Kutako Airport, where one of our representatives will greet you and transfer you to our hotel in Windhoek. We will have a short introductory meeting in the evening, a question and answer session, and group dinner. 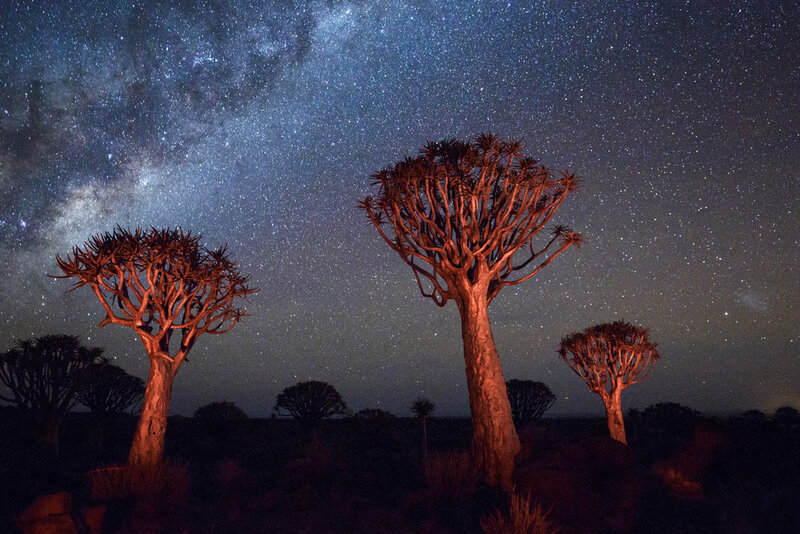 June 2, 2020: In the morning we travel from Windhoek to Keetmanshoop and the Quivertree Forest for sunset and night photography. The Quiver Tree is one of the most interesting and characteristic plants of Namibia. The name Quiver Tree refers to the traditional use of the branches by Bushmen and Hottentots tribes to make quivers for their arrows. Today is our longest drive of the safari (about five hours), but we have some photo stops and lunch along the way, and it’s good to get it out of the way early! June 3, 2020: We make the short ride to the lovely coastal village of Lüderitz and spend the afternoon and evening photographing the famous Kolmanskop Ghost Town. Our drive today is approximately three hours with plenty of photo stops along the way. The houses of Kolmanskop have been slowly overtaken by the desert and the floors are sand but are in good shape otherwise. June 4–6, 2020: After a morning shoot at Kolmanskop once again, we drive north into the Namib Desert, traversing through spectacular scenery of the Tiras Mountain Conservancy and a section of the NamibRand Nature Reserve before entering the Namib Naukluft National Park to reach the Sossus Dune Lodge. Our drive is approximately three hours with photo stops along the way. For the next three days we will explore the remarkable Namib Desert with your guides. Sossus Dune Lodge is the only lodge that affords you prime location within the boundaries of the Namib Naukluft National Park and the largest sand dunes in the world. Namib Naukluft National Park is also the home of Deadvlei and the dancing dead camel thorn trees. June 7, 2020: After a sunrise shoot and breakfast at Sossus Dune Lodge, we drive further north to Walvis Bay. Its’ a short drive, just over two hours. Walvis Bay is the main harbour town in Namibia and is visited by many fishing boats, cargo vessels and an increasing number of passenger cruise liners. The main attraction here is photographing the many thousands of flamingos that call the area home. Overnight at hotel in Walvis Bay. June 8, 2020: In the morning, we will drive along the coastal road into the Skeleton Coast National Park to reach our lodge, passing through the towns of Swakopmund and Henties Bay and stopping at shipwreck remnants. 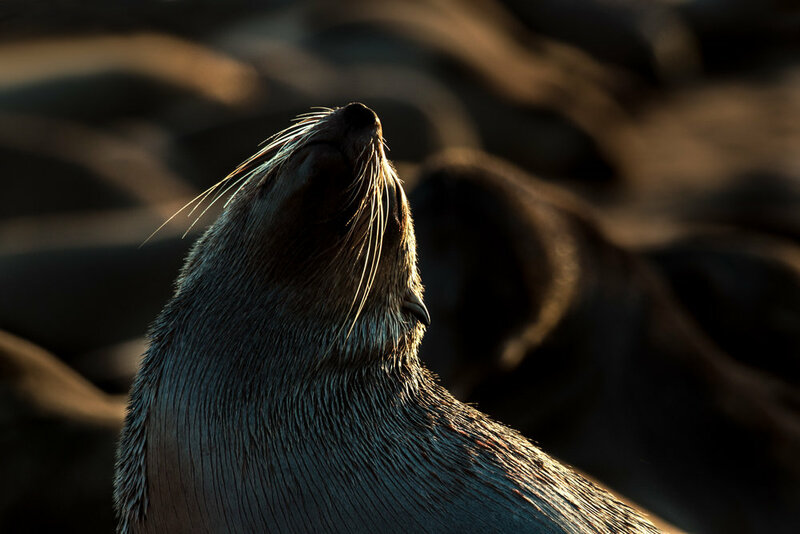 Cape Cross is the location of giant colony of Cape fur seals and we will spend the afternoon photographing these fascinating creatures. 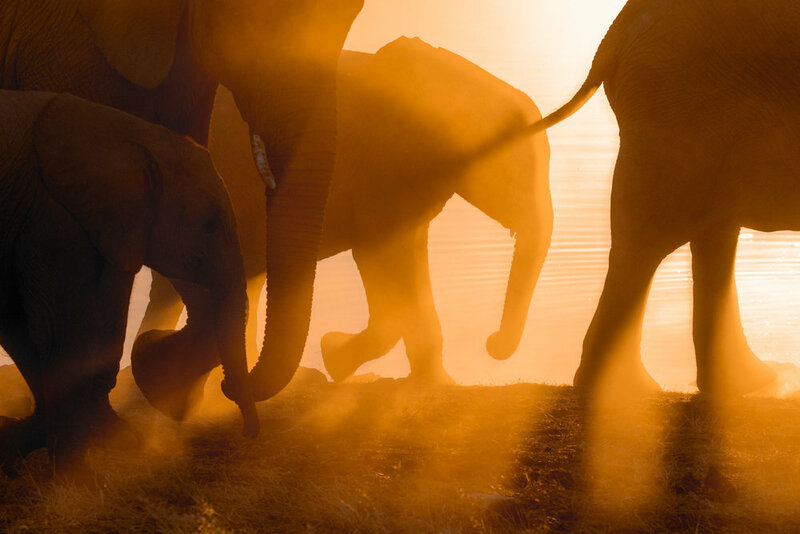 June 9–11, 2020: The morning journey takes us northeast into Etosha National Park, traversing scenic countryside and passing small towns and communities along the way. With the Okaukuejo Camp as our base for the three days, we will embark on photo safaris each morning and evening with guided game drives through Etosha. In addition, the camp has an active floodlit waterhole for photography and wildlife viewing through the night. 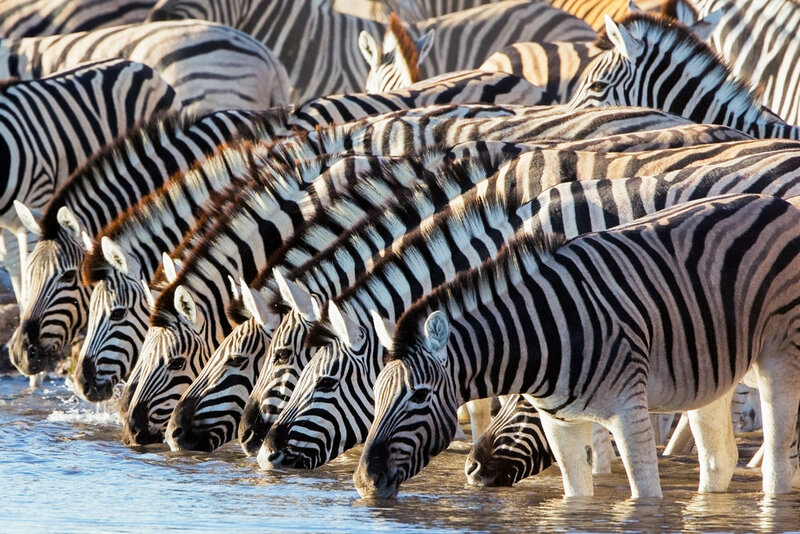 We can expect to see lions, zebras, elephants, rhinos, giraffes, cheetahs, and much more wildlife. 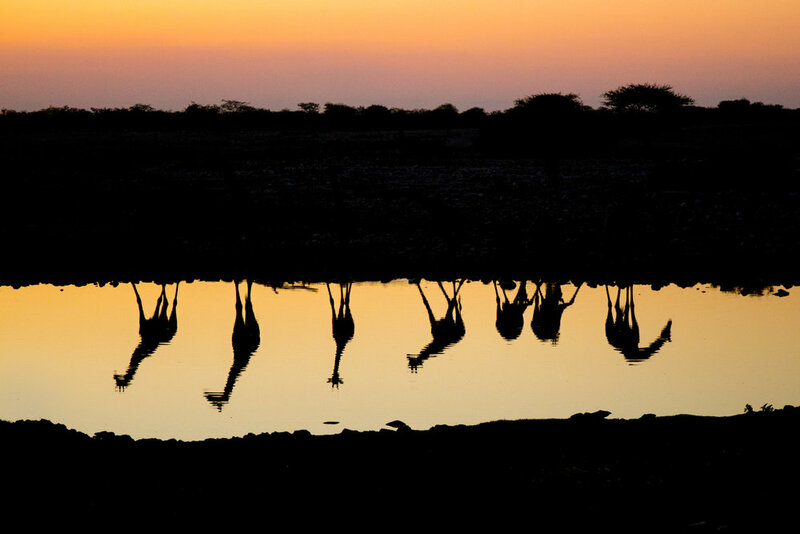 Etosha is a world-class African wildlife destination. June 12, 2020: After a morning shoot in Etosha, we will make our way back to Windhoek by driving most of the day, with photo stops and a lunch stop along the way. We should arrive in Windhoek sometime between 4:00 PM and 5:00 PM. Group dinner in the evening at a favorite local restaurant where we’ll celebrate an amazing safari. June 13, 2020: Breakfast, image reviews, airport transfers, and departures. Travel from your home to Windhoek Namibia, and back. Passport and visa fees, if any. Any meals and accommodations before or after the workshop dates. Medical Evacuation Insurance (required). Travel Medical and Trip Cancellation Insurance (optional, but recommended). Items of a personal nature. Alcoholic beverages. Anything not specifically listed as included. Your non-refundable deposit of $4,000 will hold your place on this workshop. Further non-refundable payment of $5,000 is due on November 1, 2019. Final non-refundable balance payment is due by March 1, 2020. All payments are non-refundable and this is why we recommend comprehensive travel insurance including trip cancelation. All of our other standard terms and conditions apply. This is a amazing overland journey through one the oldest deserts in the world, don’t wait, click the “SIGN ME UP!” button now and we’ll see you in Namibia!